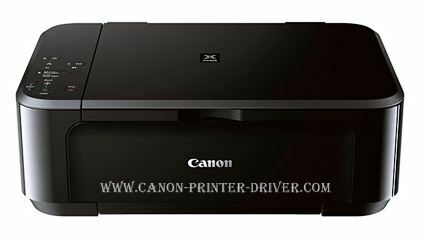 Canon Scanner on Mac OS Using IJ Scan Utility- Not only for printing, Canon also can give good scan results. With IJ Scan Utility, -an application to scan photos, documents, and other- you can get easy scanning. With IJ Scan Utility main screen, all scanning function can be accessed. Scanning and saving can be ran directly.There are many features os IJ Scan Utility, they are Multiple Scanning Modes, Save Scanned Automatically, and Aplication Integration. Each features give various function like scanning with various items, automatically saved to cangable preset folder, and sending to other applications. Then, here is how to use canon scanner on Mac OS using IJ Scan Utility. How to scan using Canon scanner with IJ Scan Utility? To scan documents or photo with IJ Scan Utility is not difficult. First, place the document or photo to be scanned on the platten then start IJ scan Utility on your computer. After that, the next thing to do is click ‘settings’. So it will be appered ‘Setting (Document Scan)’ dialog for document scanning or ‘Setting (Photo scan)’ for photo scanning. Here, you can set the resolution, the size of paper, etc. Click ‘ok’ when the setting has been done as required.Then click ‘Document’ or ‘Photo’ and the scanning starts. After the instruction of how to use Canon scanner, here the checking result will be explained.When the scanning is finished, check the scan result with start IJ Scan Utility. Then ‘click settings’. After the ‘Setting’ dialog appears, click ‘Photo Scan’. Next, select ‘Check scan result and specify save settings’ checkbox. And the last is click ‘OK’. The IJ Scan Utility main screen then will be appeared. Note that the setting that have been made can be used in the next time.That is how to use Canon scanner with IJ Utility, it is easy, isn’t it? Try tp scan now with the instructions above!